In Alberta, Mike Butler, Assistant Warden, Management Services at Bowden Institution, knew that CSC had to take action to support minority language communities to meet its requirements under the OLA. After reaching out to the local bilingual school in Lacombe, Alberta, he realized that working with the French-speaking community near Bowden could also benefit offenders. In September 2017, Mike reached out to École James S. McCormick School, a local bilingual school, to let administrators there know that CSC wanted to partner with them to support Alberta’s French-language minority community. 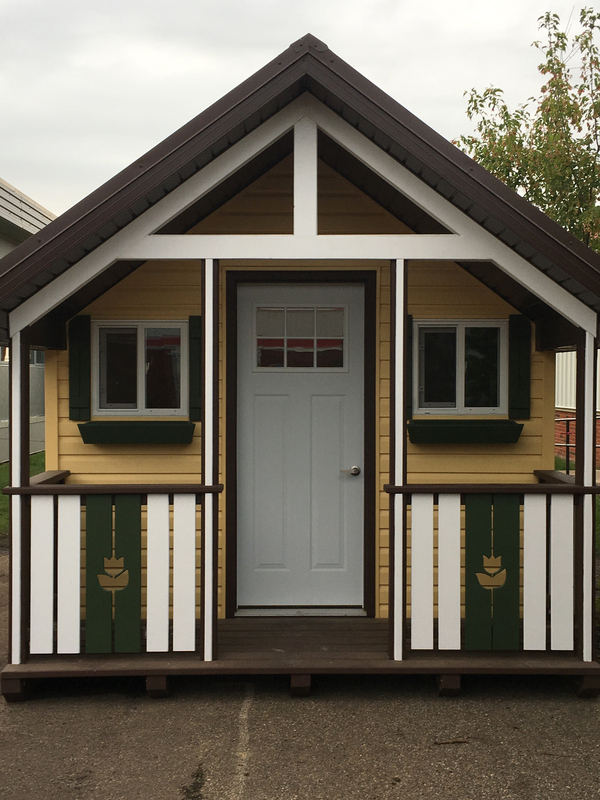 When he learned that the school had been planning to build an outdoor classroom, he contacted John McKill, Operating Manager with CORCAN. They realized it would be a great fit for Drumheller Institution’s Indigenous Offender Employment Initiative, a recently implemented vocational training program, as well as Bowden Institution’s work release program. It was determined that the unit could be built by Drumheller Institution offenders and installed by Bowden Institution offenders. The school administrators and Mike decided they could build a playroom with a cottage look for the school with the hope it would become a special learning place for the kids. From Mike’s perspective, partnerships like these not only help CSC meet its mandated requirements under the OLA, but are also beneficial to offenders and institutions because they provide projects for offenders to build skills on and support their reintegration. Offenders who participate in the work release program say they enjoy giving back to the community and feel a sense of pride and accomplishment when contributing to these types of projects. They mention that the positive feedback from community members and organizations helps motivate them. Overall, participants say it gives them a true perspective of the working world. The offenders contributing to the project for École James S. McCormick School include participants in CORCAN’s construction program. CORCAN is a special operating agency within CSC that provides jobs, training and employability skills to offenders to support their reintegration to the community through building the skills necessary to secure employment upon release. Work in the construction field has been identified as a growing labour market need in Canada and offenders who work with CORCAN benefit from on-the-job training and vocational certifications that are recognized in the industry. 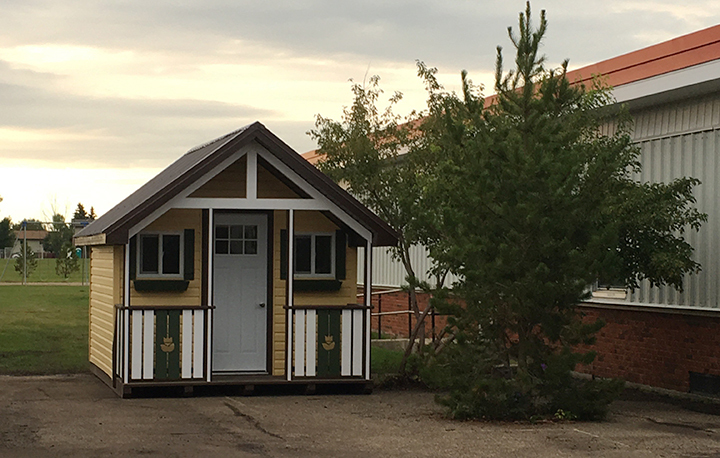 In addition to the actual building of the playhouse, other offenders involved in the project took part through a work release program from Bowden Institution and attended the location under supervision to ensure the playhouse was installed properly. Through the work release program, offenders earn hands-on training while also providing them with a structured and supervised access to the community, which supports their gradual reintegration. These are both opportunities that will decrease the likelihood of re-offending on their future release. In addition to the joint Bowden and Drumheller Institutions project for École James S. McCormick School, CSC also has a variety of other initiatives going on across the country to meet the requirements of the OLA. The organization’s partnership with the University of Moncton to offer the Criminology Minor Program in French in the Atlantic Region is one such initiative. This program allows students to attend criminology classes in French and allows CSC employees to share their expertise in the field. In the Pacific Region, inmates on escorted temporary absences were sent to assist OLMCs with festival activities. In addition offenders benefitted from the opportunities to speak their mother-tongue language and participate in activities related to their culture. CSC is committed to meeting its OLA responsibilities by supporting official language minority communities in Canada, which in turn benefits the organization as well as offenders.